GBPUSD broke below 1.2661 support and extended its downside movement from 1.3298 to as low as 1.2475. Further decline is still possible after a minor consolidation and next target would be at 1.2300 area. 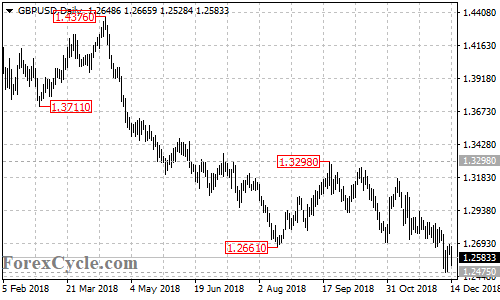 Resistance is at 1.2775, a break of this level would suggest that the downside movement had completed at 1.2475 already, then further rise towards 1.3050 area could be seen.